When will be Big Star Little Star next episode air date? 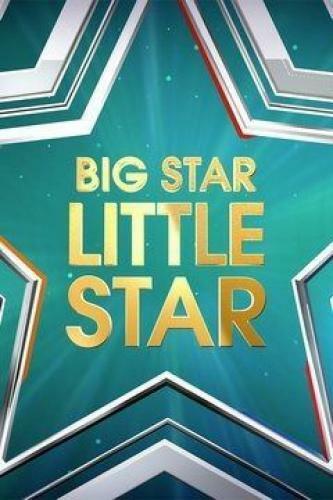 Is Big Star Little Star renewed or cancelled? Where to countdown Big Star Little Star air dates? Is Big Star Little Star worth watching? Hosted by five-time Emmy nominee and Critics' Choice winner Cat Deeley, Big Star Little Star is a fun-loving celebrity family game show which pairs stars with their kids as they playfully test their knowledge of one another. All in good fun to win money for their chosen charities, each episode will feature three famous families as they reveal the most hilarious behind-the-scenes moments about their real lives. Big Star Little Star next episode air date provides TVMaze for you. EpisoDate.com is your TV show guide to Countdown Big Star Little Star Episode Air Dates and to stay in touch with Big Star Little Star next episode Air Date and your others favorite TV Shows. Add the shows you like to a "Watchlist" and let the site take it from there.